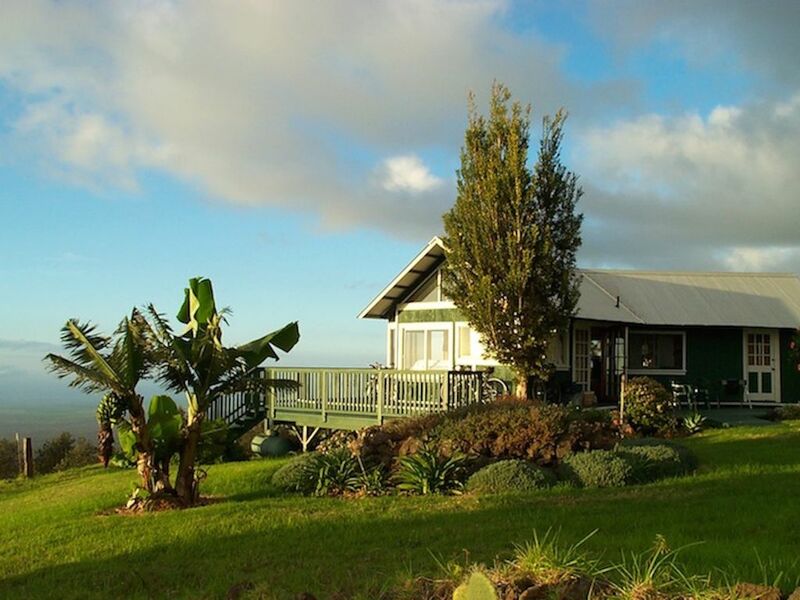 Welcome to The Star Lookout, a magical vacation cottage in Maui's Upcountry. Experience a taste of 'Old Hawaii' in our quiet, restful perch with privacy, sweeping views, magnificent sunsets, and oodles of stars. We are located at 622 Thompson Road, Kula, HI 96790. The Star Lookout is the perfect retreat for nature lovers, star gazers, writers, outdoor enthusiasts, honeymooners, and well, just about anyone wanting to get away from it all. The Star Lookout is a one-in-a-million property with unobstructed views of both shores of Maui. To the south, the community of Kihei and glimpses of neighboring islands. To the north, Kahului and views of north shore beaches and sugar cane fields. The entire property is surrounded by pasture and outcroppings of lava rock. For assistance please call 907-250-2364. Janice Tower is an avid cyclist. You can find her riding up, down and around Maui with the Upcountry Cyclists. This is one of the most beautiful places on Earth. The Star Lookout offers the visitor peace, tranquility and an opportunity to commune quietly with nature. There's nothing like sitting out on the deck overlooking the north and south shores of Maui, listening to the birds and contemplating the curvature of the Earth. Two newly remodeled bathrooms with walk-in showers. Soap (no other toiletries) and towels are provided. 30 Minutes from world-class Windsurfing Beaches. Upcountry Maui is prime road cycling country! The perfect launch for a ride up Haleakala (7,000' climbing), Ulupalakua Winery Ride, and several epic 100-milers.